October is Wine Month. Not only in Virginia, but also at DrinkLocalWine.com which has designated October 9 through October 15 as "Regional Wine Week". The site honors "The Other 47" states (excluding California, Washington and Oregon) and has instituted the "DrinkLocalWine 47 Words Contest" where you can submit 47 words describing the hidden gems among the other 47 wine producing states. 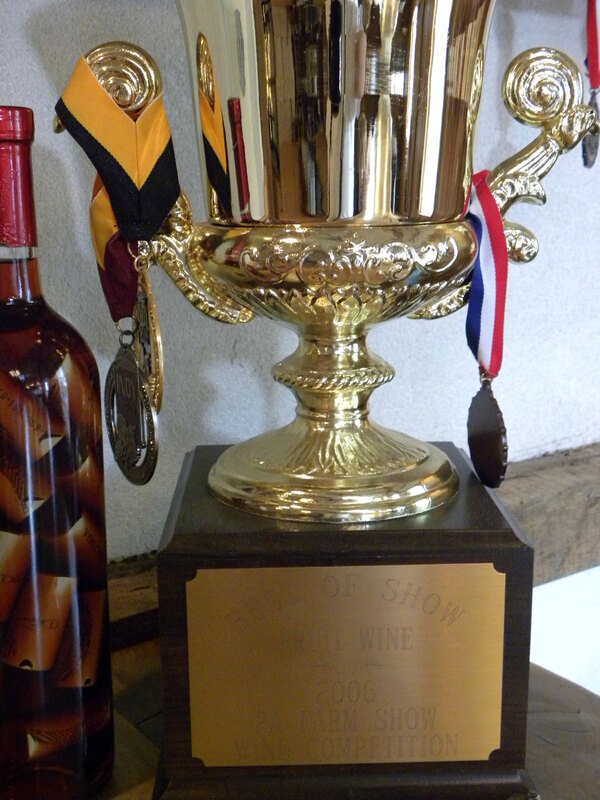 Entries (drinklocalwine@gmail.com) are due by midnight ET on Sat., Oct. 15; and there are several cool prizes. Thus, during Regional Wine Week, make a concerted effort to sample a local wine from your area - preferably from a winery visit and let DrunkLocalWine.com know about it in 47 words. On the 9th, we hope to be attending The Festy, so there will be ample opportunities to visit some wineries in Nelson County, Virginia. Actually there's no excuse since Wintergreen Winery is across the street from the venue: Devils Backbone Brewing Company. The following weekend, we should probably head across the Potomac into Maryland to visit some of our favorites in that state: Black Ankle Vineyards or Sugarloaf Mountain Vineyard. 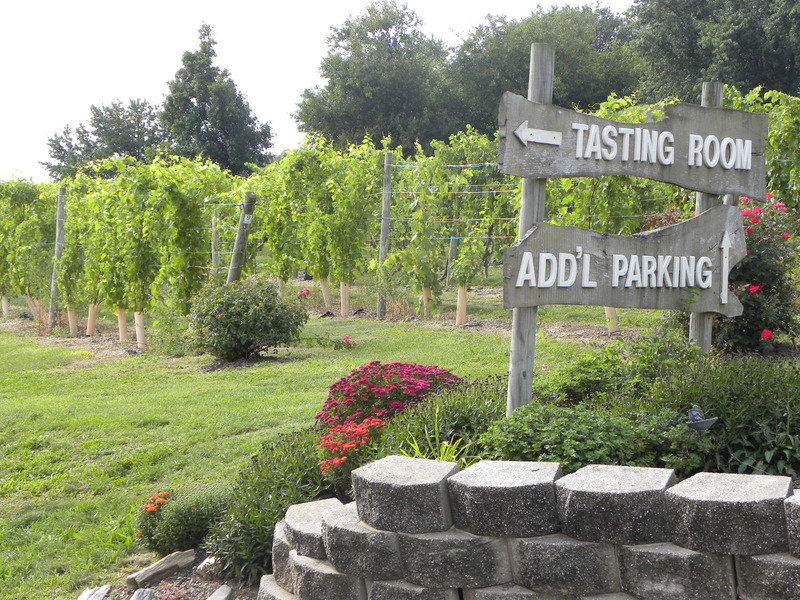 As an added benefit, each of these wineries host live music. What are your Regional Wine Week plans. I'm thinking of a theme... You can always check out WineCompass for wineries and events in your area. It's that time of year again; the heat and humidity is slowly dissipating, leaves are dying, summer flowers are exerting one last display of life, and the grape harvest is in full gear. And for the 24th year, the Commonwealth is celebrating Virginia Wine Month. This month's theme is "Discover Your Local Crush", acknowledging the state's numerous and diverse wine regions: Northern Virginia, Shenandoah Valley, Central Virginia, Eastern Virginia, Chesapeake Bay, Blue Ridge Highlands, Hampton Roads, Heart of Appalachia, Southern Virginia, Shenandoah Valley AVA, Monticello AVA, Eastern Shore AVA, Washington Birthplace AVA, North Fork AVA, and the Rocky Knob AVA. Regardless of the region, there will be ample opportunities to sample excellent wines, listen to music, enjoy the scenery, and meet the winemakers. We plan on starting Virginia Wine Month at Chrysalis Vineyards and their 11th Annual Norton Wine & Bluegrass Festival. And why not, pair some of Virginia's native grape with Jackass Flats, Hickory Ridge, and Good Natured Riot. Then our favorite Charlottesville musician; no, not Dave Matthews; but William Walter performs at Delaplane Cellars. Then we will head back to Visit Loudoun to listen to more music and sample some Viognier. That's our "Discover Your Local Crush". What's yours? 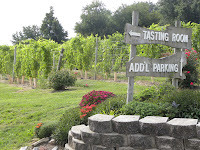 To help plan your outing visit WineCompass or Virginia Is For Lovers to find an event in your area. 1. Select a few bottles of your favorite Finger Lakes Rieslings. 3. Invite your friends and family over. 4. Log on to Twitter and post details of your evening using #FLXwine. 5. Post pictures and comments to www.Facebook.com/FingerLakesWineCountry. This episode of MyJoogTV features Trent Dabbs & Andrew Belle discussing the Ten Out Of Tenn tour which was performing at IOTA in Arlington Virginia on September 16th 2011. 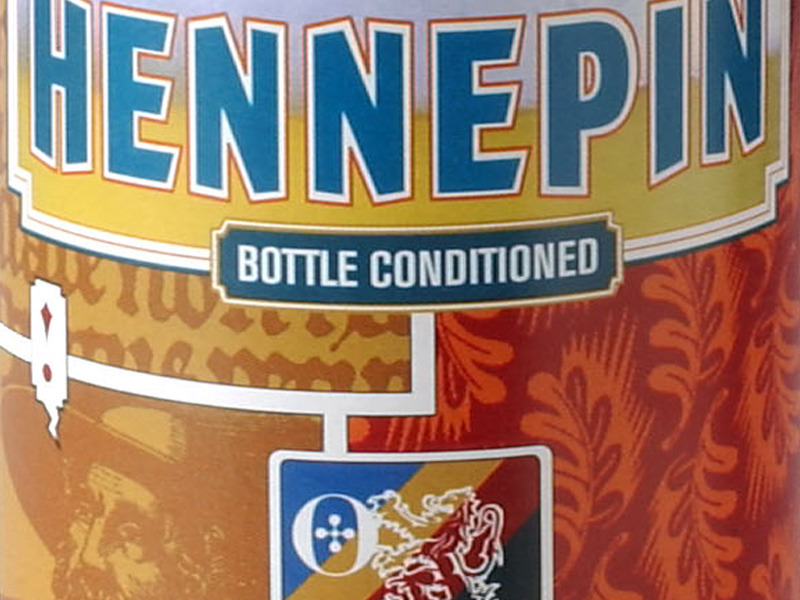 The musicians discuss the tour and their two respective CDs, Southerner & The Ladder while sipping Brewery Ommegang's Hennepin Farmhouse Saison. 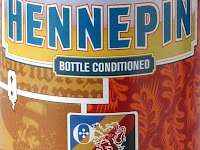 The Cooperstown NY brewery specializes in Belgium Ales including an Ommegang Abbey Ale, Ommegang Witte Ale, Three Philosophers Quadrupel, Belgian Pale Ale, & Rare Vos Amber Ale. The Ten Out Of Tenn tour features Amy Stroup, Katie Herzig, Gabe Dixon, Tyler James, Andrew Belle, Matthew Perryman Jones, Trent Dabbs, k.s. Rhoads, Butterfly Boucher, Jeremy Lister, & Will Sayles. The video is available to download for iTunes and Windows Media Player. Ever since our visit to Foggy Ridge Cider for the MyJoogTV Episode 9: Reverend Peyton's Big Damn Band @ Foggy Ridge Cider episode, we've been on a hard cider kick. And what better way to feed that habit, but through a tour of apple country in New York's Hudson Valley and the Shawangunk Wine Trail. 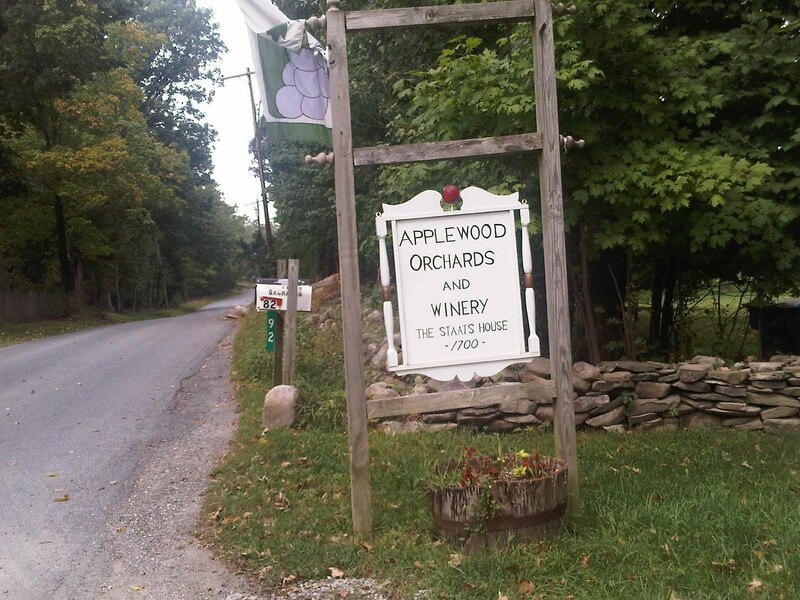 The trail consists of eleven wineries, with a few producing hard cider from the regions abundant apple crop. We started out intending to visit Warwick Valley Winery & Disillery, but found the roads blocked because of storm damage from Hurricane Irene. Having a limited time schedule, we reversed course to the next closest winery in Warwick, Applewood Winery. 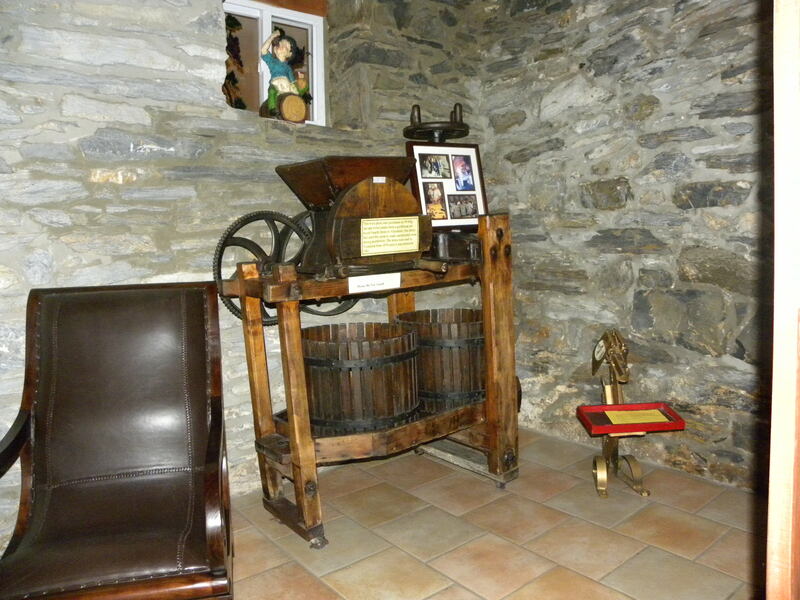 This farm winery is the oldest continually operated farm in the county and still contains a stone that bears an inscription of the first owner's initials ("SGS 1700"). The curren t operation began in the 1950's when the land was purchased by the Hull family and apple trees planted to create Applewood Orchards. In 1993 Jonathan Hull expanded the apple farm to include a winery and plantings of vinifera, labrusca and hybrid and grape varieties. On our visit, we were surprised to find a packed parking lot; surprised because of the seclusion of the farm. They have gotten the word out; plus there was live music scheduled for later that afternoon. The w inery offers a large selection of wines, from Chardonnay, Reisling, and Cabernet Franc to Traminette and Concord. And plenty of Apple wine and hard cider; actually sparkling hard cider, the semi-dry Stone Fence Cider made from fermented estate apples, honey, and champagne yeast. This was all we needed, purchasing one cold and two to bring home. Even though we prefer dry cider and brut sparklers, this cider was nice and refreshing -on that 90 degree day. The apple flavors bounced through the palette with the honey providing a touch of sweetness at the finish. And at $8.25, what a fair value. 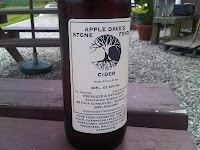 We didn't sample the other wines, but enjoyed the bottle of Stone Fence Cider before returning to Greenwood Lake. Doc's Draft Hard Pear Cider. The pear was wonderful, dry-dry-dry; and with plenty of pear flavors. The apple was made semi-dry and had a similar flavor profile as the Stone Fence Cider minus the CO2. Despite the slight sweetness, it was clean and refreshing. The reason why we love hard cider. While visiting family in New York, we took a slight detour on our travels to visit Vynecrest Winery, located in Breinigsville Pennsylvania, just outside of Allentown in the Lehigh Valley Wine Trail. Why Vynecrest? 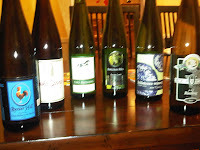 Well, the winery is one of the few East Coast producers of Lemberger\Blaufränkisch; we had to check that out. The winery is located just off Route 78 and is being encroached by the suburbs - yet you still get that Pennsylvania farm feeling when pulling up to the 19th century Swiss barn that houses the tasting room. The operation began almost 40 years ago when John and Jan Landis purchased the initial 5 acre estate and the first vines were planted in 1974. The winery itself did not open until 1989 and soon expanded with 23 additional acres of a mix of vinifera, labrusca, and hybrid grapes. Today their son Sam manages the business, as well as the current president of the Pennsylvania Wine Association, and John still operates as the winemaker. It's nice to see a business have a succession strategy. 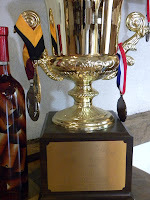 When we arrived, we immediately noticed the advertisements for the winery's latest medal winner, the 2009 Chardonnay which was a Double Gold winner at the 2011 Indianapolis International Medal Competition. A three pack for $30; shows how affordable these wines are priced. Back in Virginia, an equivalent medal winner would be marked up to $30 a bottle. We sampled a double tasting of 12 wines which gave us a good representation of their portfolio. Starting with whites, the aforementioned Chardonnay was okay, but for us, nothing really special - no noticeable mouthfeel of Chardonnay flavor. Yet the Traminette and Riesling (Both dry and semi-dry) where exactly what you would expect from these grapes. And the biggest surprise was the Vynecrest White, a blend of labrusca and hybrids such as Cayuga and Vidal. Made semi-dry, the acidity balanced the sweetness and this was one we enjoyed out on the lake the following day. 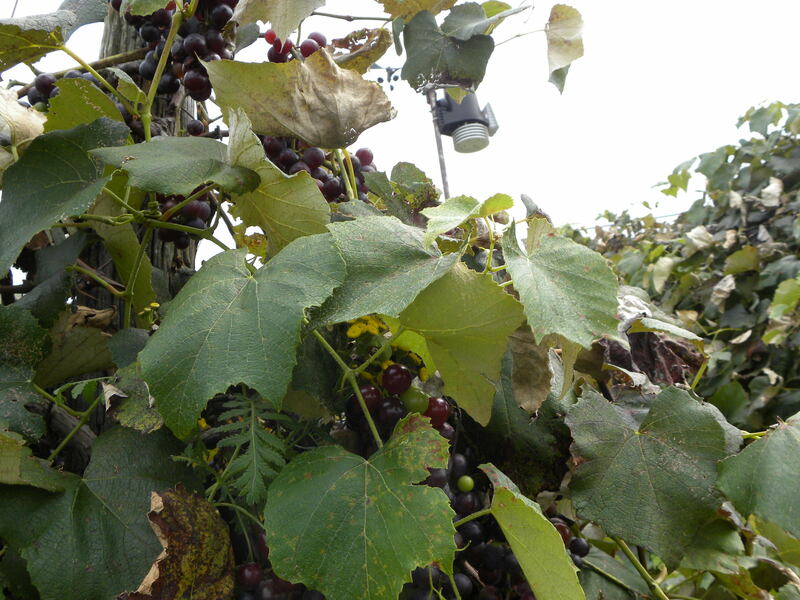 Moving to re ds, the vinifera were mostly medium bodied wines that I've found are common in Pennsylvania red wines. The Pinot Noir and Lemberger were both medium bodied, smooth, but not much complexity. On the other hand, the Chambourcin was our favorite red, full bodied with strong cherry flavor, yet a smooth silky finish. This was nicely done. The "house" red, Vynecrest Red, was also appealing for what it is, a semi-dry blend of several grapes - yet not overly sweet and quite tasty. Finally, the winery offers a small selection of fruit and sparkling wines. The Blueberry and Cherry DiVine are made sweet and are full of their respective flavors. And for those who like semi-sweet sparklers, we prefer brut, the Sparkling Chambourcin is for you. 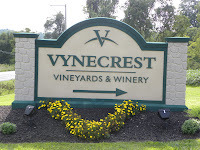 All in all, Vynecrest produces several wines we really enjoyed. And with all the Lehigh Valley Wine Trail events planned throughout the year, we shall return to the area. And we will revisit the Lemberger in a later varietal tasting. Got to love that they planted this grape variety.